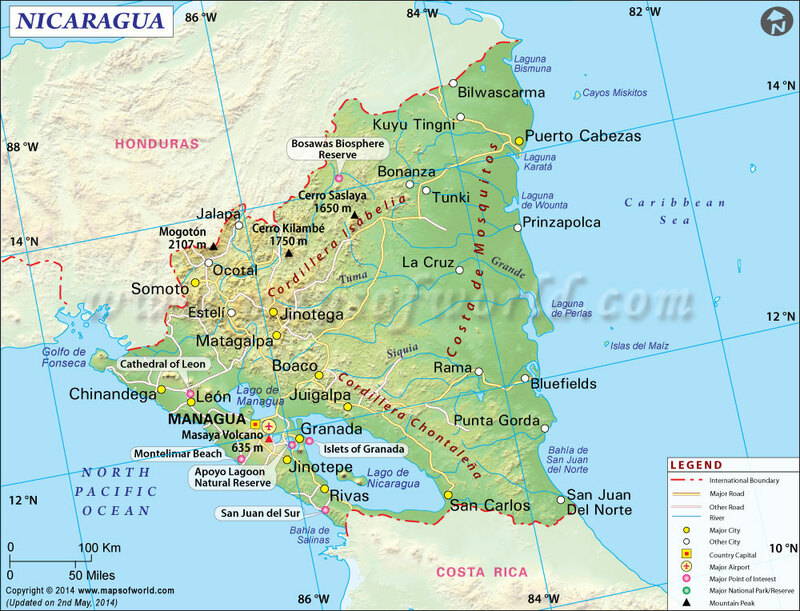 Nicaragua is the poorest country in Central America with 42.5% of residents living below the poverty line and 44% of Nicaraguans live in rural areas such as Jalapa Valley. Reports from the Nicaraguan Ministry of Health (MINSA) indicate that 50% of the rural population has little access to basic health services, which are hampered by poverty, geographical isolation and poor roads. Single mom in her 20’s with her four children. The father is absent and children do not attend school. Nicaragua has the second highest rate of adolescent pregnancy in all of Latin America. 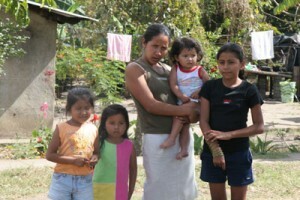 Many Nicaraguan women spend at least part of their lives as single mothers. Early initiation of sexual activity and limited practice of contraception contribute to this phenomenon, as does the very character of the Nicaraguan economy. 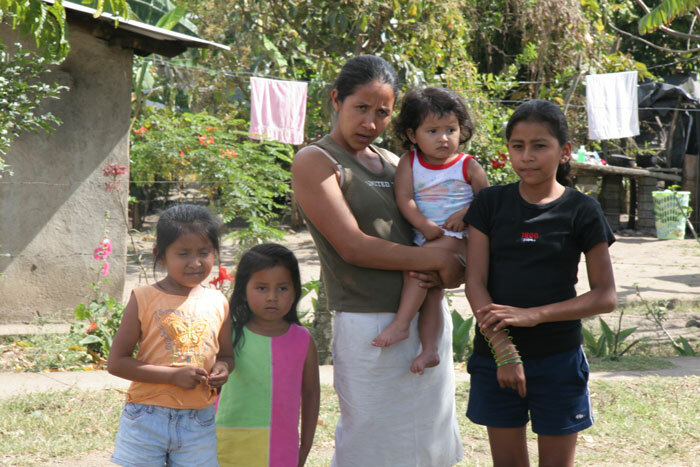 The long months that agricultural workers spend away from home harvesting coffee and cotton greatly disrupt family life and often lead to abandonment. As a result, there is a high incidence of female-headed households, underserved pregnant women, teen pregnancy, infant and maternal mortality, and undernourished infants. Young teenage girl working in a tobacco barn. She works 8 hours per day, 6 days per week for about $2 per day. Included in deficient service access are HIV/AIDS testing for women, prenatal care, safe labor & delivery, nutrition, and education on the care of a newborn. This reality coupled with the significant poverty nationwide and reduction in aid in tough economic times presents many challenges for this country. Since 2002, AACC has supported communities in Nicaragua through partnerships with the Mayor’s Office of Jalapa, the Ministry of Education, Ministry of Family, and the Ministry of Health. AACC’s CEPET Program develops collaborative projects addressing the identified needs of the community. Through this work, AACC has led more than forty student delegations, provided five therapy delegations for children with disabilities, and provide twenty dental and medical delegations. 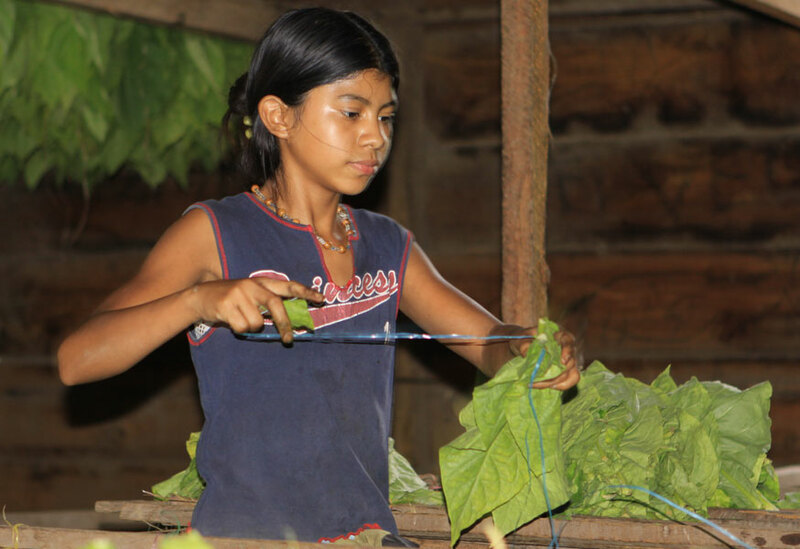 Additionally, AACC has worked to stop child labor in the tobacco fields. The third school built by AACC. The school is in El Libano, a small barrio adjacent to Jalapa. The photo shows the school before it was painted. The photo was taken on the day of the dedication when it was turned over to the Ministry of Education. Over the past 15 years AACC has built four schools in the communities outside Jalapa and provided space for several child care homes. All the schools are provided bookshelves, round tables and chairs, chalkboards, outhouse, and sinks built by local carpenters and brick layers. When building schools, AACC works with the community leader and heads of households to design a work plan and architectural plan for the school. Once the design and budget is agreed upon, AACC creates an agreement with the Ministry of Education and the Mayor’s Office. The Mayor’s Office contributes the land, the trucks needed to bring sand and building materials to the site, and provides some of the building materials such as the bags of cement or paint. AACC contributes funding for the remainder of the building materials and food for the community laborers. The community provides the labor for the construction, and the Ministry of Education provides the teachers and school materials necessary for the school to operate. The coordination of all parties is what makes the projects sustainable. Each school has a room for a health clinic, where a nurse from the Ministry of Health comes on regular intervals to serve the community with their health needs. Nicaraguan boys playing in Champigny. There is little chance that they will attend school. Less than 60% of children enter primary school and less 60% of those children graduate from primary school. The Global Therapy Exchange Project provides local communities with rehabilitation therapy services and education programs to address the needs of children and adults with disabilities. In the Jalapa there are about 850 underserved children with neurological, congenital, physical, cognitive, and behavioral disabilities. These individuals are in critical need of education, support and equipment. AACC’s focus continues to be in providing sustainable resources to local community providers and organizations. Using the CEPET Program, AACC helps bring training to local therapists and health promoters that would otherwise be very difficult for them to access. Volunteers are needed for delegation participation; help with obtaining equipment and supplies and fund-raising to support ongoing services in the local community. APIEAT giving a community charla (workshop) . They cover topics such as disposing of trash properly, best health practices, nutrition, washing hands before eating, burying dead animals and organic farming. AACC has a partnership with Vitamin Angels to distribute vitamins throughout the Jalapa Valley in communities with identified malnutrition. AACC’s APIEAT Auxiliary coordinates the current distribution of multi-vitamins and Vitamin A to 1200 children 0-5 years of age and to 350 pregnant women lacking adequate nutrition. 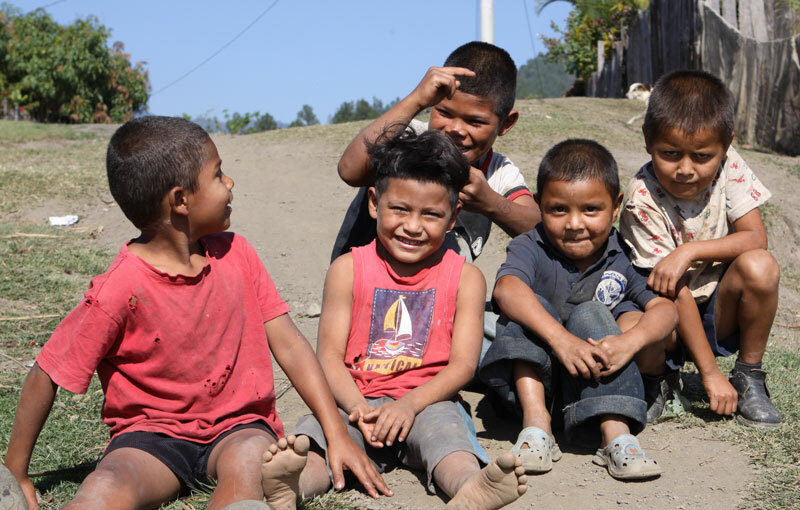 To date, vitamins have been distributed to 18 communities in the Jalapa Valley. The APIEAT Auxiliary also provides home visits for one-on-one focus, community education “charlas”, and story hours. 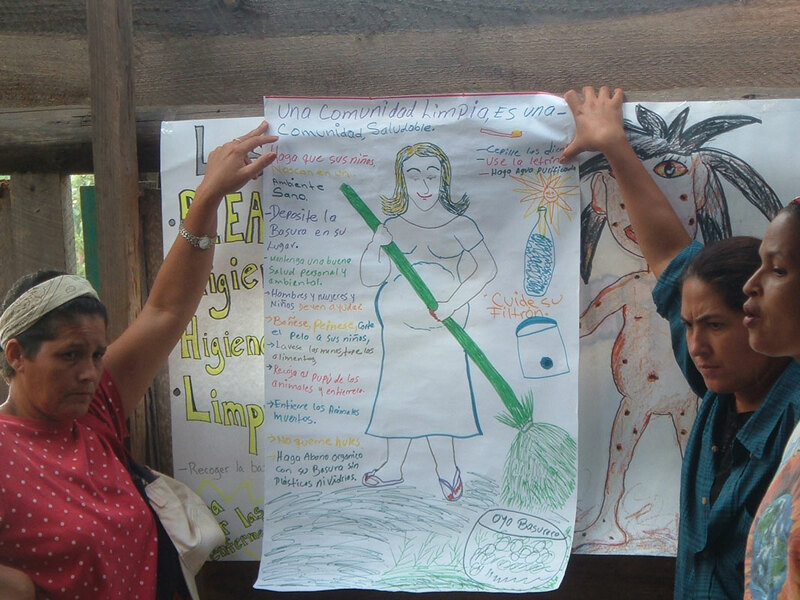 Both AACC and APIEAT work in collaboration with the Nicaraguan Ministry of Health (MINSA). APIEAT giving a dental clinic and charla (workshop). The average Nicaraguan will loose their first adult tooth before they are 15 years old. Supporting community health efforts in underserved areas of Nicaragua, AACC has provided dental healthcare projects, offering increased access for preventive dental care. Education has been provided through community “charlas,” home visits and story hours in target communities. In 2012 AACC organized a dental delegation which included Stephen Koral DDS, of Boulder, Colorado. Dr. Koral was instrumental in acquiring training and materials used to provide preventative and curative dental care to the APIEAT Auxiliary members. In addition, Dr. Koral provided direct dental services and collaborated with local dentists to establish the necessary supports for an ongoing dental health program. 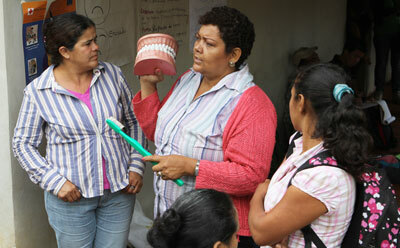 Dr. Koral has been a long-standing supporter of AACC in efforts to address dental care needs in the Jalapa Valley. The goal of this project is to provide the knowledge and skills necessary to create gardens to sustain food sources for future generations. The project is designed to take 9-12 months for implementation in each community. This project consists of five fundamental components: 1) education and practice in sustainable agricultural practices using heritage seeds for backyard, community and school gardens; 2) backyard and community composting; 3) education in cooking, nutrition, and preventative health practices; 4) neighborhood food sharing efforts; and 5) teaching economic alternatives such as social market economy, bartering, and trading. Students from the local agricultural college provide additional support for this project. In addition, the APIEAT Auxiliary offers workshops and classes including cooking, making fuel-efficient stoves, and child nutrition. Ongoing classes are offered throughout the entire project period to ensure the learning and practice of new knowledge and skills.